Bruce L. Sendek is a shareholder based in Butzel Long's Detroit office and serves as Chair of the firm's Litigation Department. Mr. Sendek represents corporations and individuals in complex disputes involving a wide range of corporate and commercial matters. Mr. Sendek regularly appears before the federal and state courts, as well as arbitration tribunals. 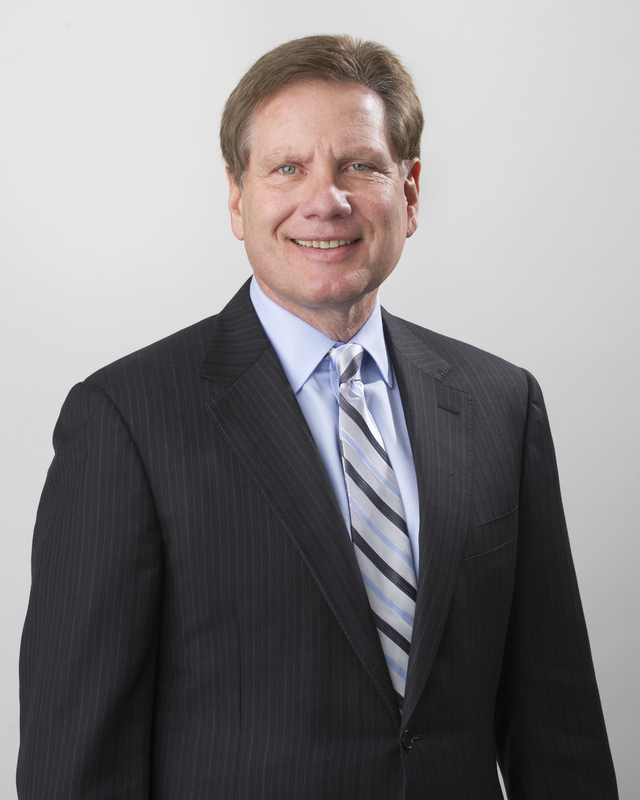 He is recognized in The Best Lawyers in America, SuperLawyers and Detroit Business Top Lawyers. Mr. Sendek has an "AV" peer review rating in Martindale Hubbell. He is an honors graduate of Notre Dame Law School (J.D., 1977) where he served as an Associate Editor of the Law Review. Mr. Sendek represents a broad spectrum of clients, both as plaintiffs and defendants, in cases involving commercial contract disputes and business litigation, including acquisitions and other business sale transactions, automotive supply chain disputes, sales commissions disputes, non-compete agreements, trade secrets, as well as franchise terminations, construction litigation, environmental claims, real estate matters, securities litigation, class action litigation, antitrust, violations of civil RICO and financial institution matters. Mr. Sendek has extensive trial and appellate experience in both federal and state courts. He has successfully arbitrated and mediated many commercial disputes. Obtained jury verdict in favor of defendants in a $5 million lawsuit brought by a major hospital/health care system in connection with an acquisition of client’s optometric centers. Plaintiff hospital claimed that the defendants misrepresented financial statements and fraudulently induced the hospital to purchase the business. After a two-week trial, the jury found for the defendants on all counts, and our client was awarded approximately $700,000 in fees and costs. Successfully defended jury trial in Oakland County defending multi-million-dollar fraud claim arising out of the purchase of our client’s manufacturing company. Plaintiff alleged that the defendant seller fraudulently withheld material information and misrepresented the company’s financial statements. After a five day jury trial, plaintiff’s damage claim was dismissed, and our client recovered over $1 million on its counterclaim. Recovered a $1.6 million award in an international arbitration dispute for our client, an English aerospace/automotive corporation, in a claim against a prior property owner for reimbursement of environmental clean-up expenses at a Superfund Site. Obtained a $7.25 million settlement for German automotive corporation in connection with acquisition of a piston manufacturing company. Client discovered that the acquired company’s balance sheet significantly understated pension and retiree medical benefit obligations. The lawsuit included claims for breach of representations and warranties and fraud against the seller, guarantors and seller’s actuaries. The case raised complex actuarial, accounting and damage issues. Successfully arbitrated breach of supply contract between aerospace supplier and aircraft manufacturer. Our client was awarded over $6 million in damages and an additional $680,000 in fees and costs which was collected after successful seizure of manufacturer’s accounts. Aircraft manufacturer was awarded nothing on its counterclaim against our client. Successfully defended fraud, RICO and breach of contract claims, in federal court, brought by NASCAR racing promoter against sponsor. All claims were dismissed against our client. Obtained jury verdict and substantial economic award, with attorney fees and costs, on behalf of shopping center owner in a commercial lease dispute with anchor tenant. Obtained jury verdict and substantial economic award, with attorney fees and costs, on behalf of a nickel metals supplier in a breach of supply contract dispute. Successfully defended electrical component manufacturer in action brought by neighboring manufacturing facility alleging substantial injury to its business due to toxic emissions. Successfully defended waste management company against breach of contract claims brought by minority landfill owners. The case involved a complicated mix of contract and environmental issues. Successfully prosecuted indemnification action in Kansas federal court on behalf of aerospace manufacturer against prior owner for environmental clean-up costs. The case required intensive examination of the source of contaminants and their migration through soil and groundwater. Successfully defended landscape company in breach of contract action brought by commercial developer. After a jury trial, the jury found against the developer and for our client on its counterclaim. With attorney fees, our client was awarded approximately $1 million. Obtained jury verdict that denied substantial claim for liquidated damages in breach of contract claim against non-profit entity. Successful defense of wrongful termination claim on behalf of major waste management company tried before a Wayne County jury. The jury came back with a de minimis award, with a near total win for our client. Successfully defended small English paintball distributor against multi-million-dollar breach of contract claim brought in federal court by the major U.S. soft gel manufacturing company. We responded with a counterclaim brought under the Sherman Act for attempted monopolization, and following mediation, the case settled with the plaintiff taking nothing and paying our client $2 million on its counterclaim. Obtained injunction against medical professional for opening competing optometric center in breach of non compete agreement. We were brought in to appeal an initial adverse decision. The lower court reversed, and, following remand and a full evidentiary hearing, we secured the injunction prohibiting defendant from practicing in defined geographic area for three years. Successfully handled Michigan Supreme Court appeal concerning enforceability of common law arbitration agreements. The opinion confirmed our position that the agreement to arbitrate, included in an asset sale agreement, was not enforceable. The claimant ultimately received nothing on its claim against our client. Obtained dismissal following bench trial of wholesale food distributor’s breach of contract claim against chain of retail grocery stores. Notre Dame Law School 1977, J.D. Michigan State University 1974, B.A. Successfully handled Michigan Supreme Court appeal concerning enforceability of common law arbitration agreements. Successfully prosecuted indemnification action in Kansas federal court on behalf of aerospace manufacturer against prior owner for environmental clean-up costs. Obtained jury verdict in favor of defendants in a $5 million lawsuit brought by a major hospital/health care system in connection with an acquisition of client’s optometric centers. Successfully defended landscape company in breach of contract action brought by commercial developer. Successfully defended jury trial in Oakland County defending multi-million-dollar fraud claim arising out of the purchase of our client’s manufacturing company. Obtained a $7.25 million settlement for German automotive corporation in connection with acquisition of a piston manufacturing company. Successfully defended small English paintball distributor against multi-million-dollar breach of contract claim brought in federal court by the major U.S. soft gel manufacturing company. Obtained injunction against medical professional for opening competing optometric center in breach of non-compete agreement.